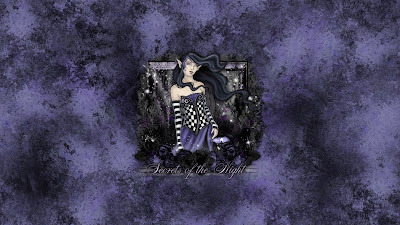 I made this tag as an attempt at one of the awesome challenges in the CDO Facebook group where Amy Brown was an AOTW (artist of the week) and liked the result so much I decided to post it here on my blog along with a matching wallpaper. There is a darkness in the night that hints to many secrets that unfold - will we see them all? What secrets will the night continue to hold dear, it takes a very special person to learn them. You can buy this tube of Amy Brown's at CDO here. 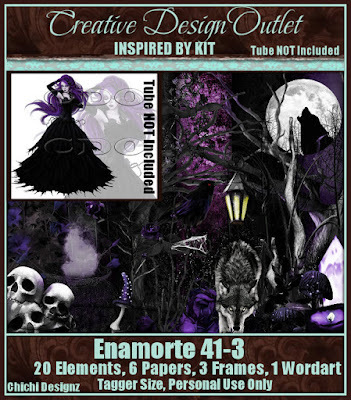 With it, I used a wonderful IB scrapkit by Chichi Designz, also available for purchase at CDO here.